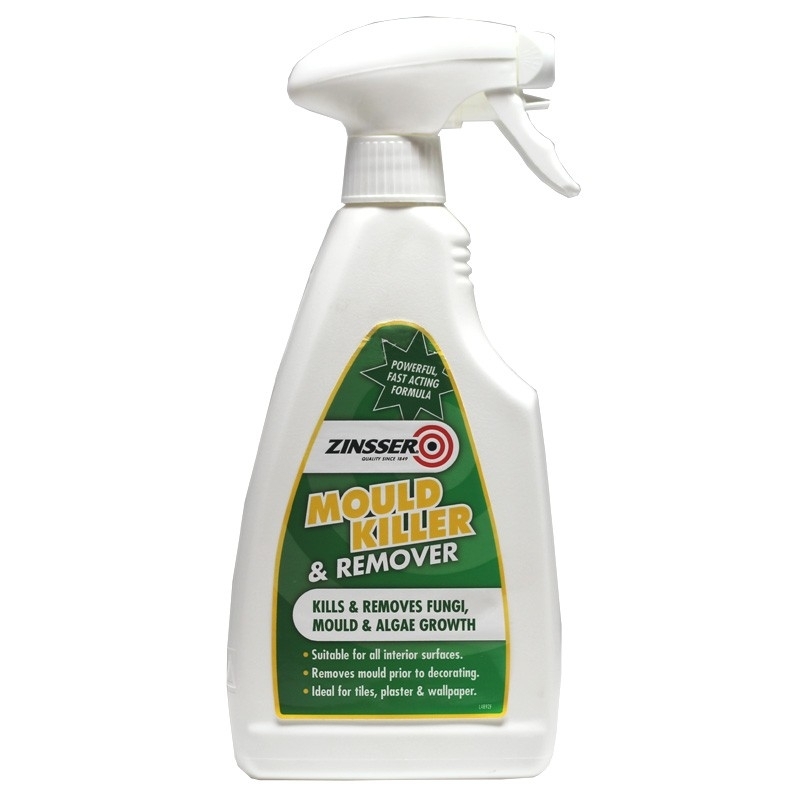 Zinsser Mould Killer & Remover is for use against fungi, moulds and algae on internal surfaces such as tiles, wood, plaster, and wallpaper. 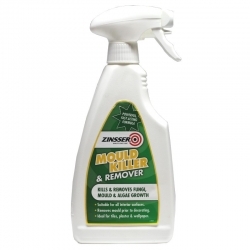 Zinsser Mould Killer & Remover is water based and ready for use. Directions: Clean surface thoroughly with Zinsser Universal Degreaser & Cleaner or a similar proprietary cleaner. Then spray Zinsser Mould Killer & Remover directly on to the surface. Leave to dry fully before painting. 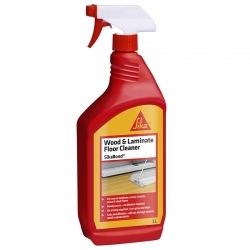 Use Magpaint Europe Sketch Cleaner Spray to clean dry-wipe surfaces, particularly those treated with Sketch Paint, of notes and drawings to keep the surface bright and clean. 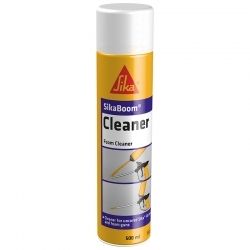 108 HD Cleaner & Degreaser is a heavy duty general purpose hard surface cleaner, containing surfactants and ecological solvents that have been activated for ultimate performance. 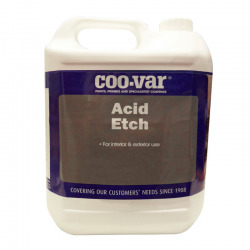 Contains NO caustic soda, making it better for the environment and the user. 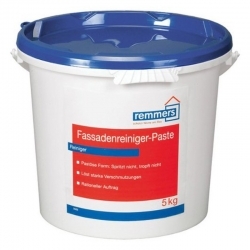 Remmers Facade Cleaner Paste is suitable for all facade surfaces made of clinker, brick and natural stone as well as for sculptures. It is not suitable for fair-faced masonry work made of sand-lime brick. 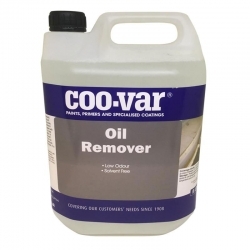 It does not dissolve the remains of mortar. 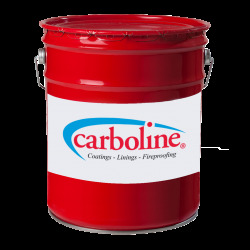 Ready to use, slightly acidic, thixotropic facade cleaner paste for clinker, brick and natural stone surfaces. 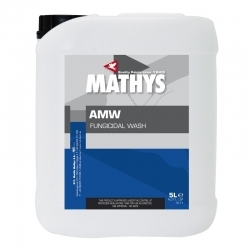 Rust-Oleum Mathys AMW is a ready mixed fungicidal wash; a solution of an approved biocide in water (HSE Approval No 4246). Rust-Oleum Mathys AMW should be used as a masonry surface fungicidal wash for professional use against mould, fungi, moss, etc. 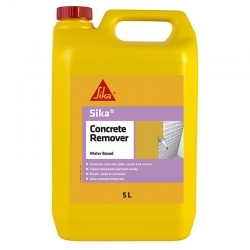 Also suitable for treatment of similarly affected roof surfaces. Thermilate PRO Fungicidal Wash instantly kills moss, lichen, algae and mould. 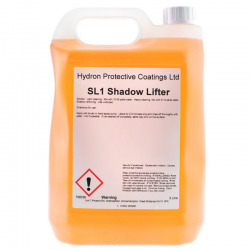 The new formula contains naturally occurring fungicides found in edible vegetation together with the most effective organic preservatives to provide the most sustainable solution to an age old problem. 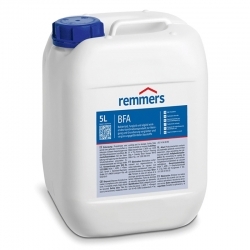 Remmers BFA is a highly effective, liquid restoration solution with a bactericide, fungicide and algacide effect. BAuA Reg. No. : N-48396. 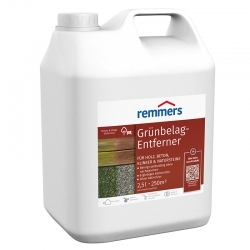 Remmers BFA is a restoration solution for removing algae, fungi, lichen and moss on mineral building materials and other water resistant surfaces as well as for preventive treatment to create an “active ingredient depot”.